The Cheese and Wine Shop of Wellington - Buy Jelly Bellys here! 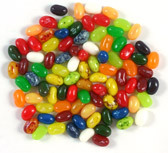 To make life just a little bit easier, Jelly Belly have created various mixes of jelly beans available in a variety of pack sizes. 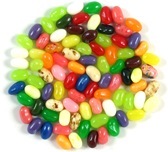 Some of the ranges are below ... Click here to see our full selection of Jelly Belly products. Rookies ... meet the ever changing aspiring hopefuls looking to make the 50 Official line up. Not quite there yet but who knows, if they're liked enough they might just replace an existing flavour. Currently in the running we have Chilli Mango, Guava, Honey, Lychee & Passion Fruit. All utterly delicious ... have you tried them yet? Probably the most popular of all Jelly Belly mixes. Both sweet & fruity flavours. A great introduction to the world of Jelly Belly flavours. Island Punch, Green Apple, Liquorice, Watermelon, Bubble Gum, Orange Sherbet, Lemon, Lemon lime, Coconut, Blueberry, Tangerine, Chocolate Pudding, Peach, Buttered Popcorn, Tutti Fruitti, Toasted Marshmallow, Very Cherry, Strawberry, Daiquiri Cotton Candy (Candy Floss), Pina Colada. 10 mouth puckering eye popping refreshingly Sour flavours. If these don't wake your jaded taste buds nothing will! Bursting with 16 of the freshest and most vibrant fruity flavours imaginable. These are the real thing! Tangerine, Green Apple, Blueberry, Coconut, VeryCherry, Lemon, Red Apple, Watermelon, Plum, Raspberry, Peach, Juicy Pear, Pink Grapefruit, Grape, Top Banana, Lemon lime.